On the basis of his recognized expertise in the area of the enlargement countries of the Western Balkans, the representative of Salzburg in the European Committee of the Regions (CoR), former governour Franz Schausberger, appointed general rapporteur by the CoR President. The Bulgarian Presidency had asked the CoR for an opinion on the EU integration process of the Western Balkans. Bulgaria has made “The Future of the Western Balkans” a priority of its EU Presidency and wants to develop a clear and concrete vision as well as a clear plan of action – without false promises, without false hopes, but with a good perspective. The EU integration of the countries of the Western Balkans (Serbia, Montenegro, Macedonia, Albania, Bosnia-Herzegovina and Kosovo) is clearly in Bulgaria’s interest. The focus of Schausberger’s statement will be on the extent to which the regions, towns and municipalities in the Western Balkan countries are able to play a decisive role in the enlargement process. With the emphasize on the principle of subsidiarity and the need for decentralization as well as regional and local cross-border cooperation in the Western Balkan countries, focus of the upcoming Austrian Council Presidency of the EU will also be taken up. Franz Schausberger discussed on 15. 01. 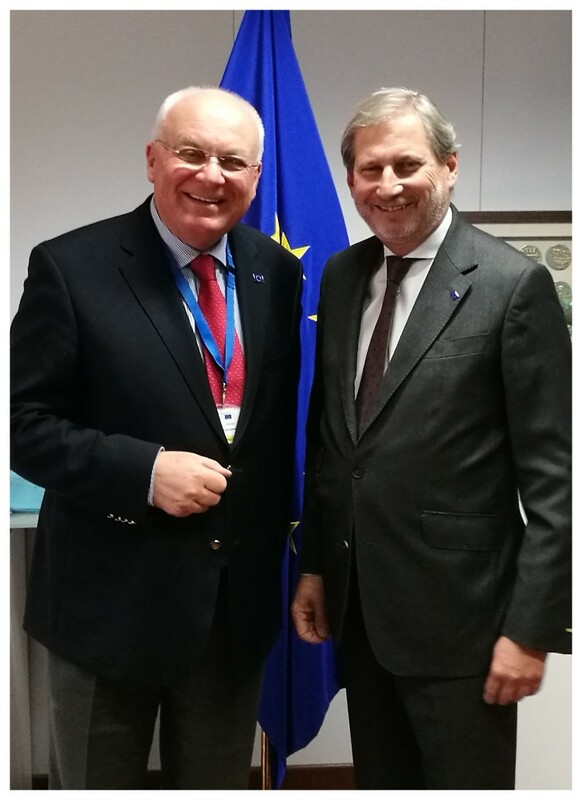 2018 his statement on the Western Balkans with Commissioner for Enlargement and European Neighbourhood Policy Johannes Hahn. Schausberger, who is also the chairman of the CoR’s Western Balkans Working Group and Special Advisor to the European Commission for the enlargement countries to Commissioner Hahn, will deliver his statement at the EU-Western Balkans Summit on 17th of May 2018 in Sofia to the representatives of the EU and the heads of government of the Western Balkans countries.